There are many qualified custodians claiming they offer all investments allowed by the IRS, but then after closing the deal with them, you’ll find out that you can only invest in their limited offerings. To make the most out of your self-directed Individual Retirement Account, you should find a custodian who will permit you to go for your preferred investment choices without restrictions. You need to devote time and effort to take full control over your IRA. You can achieve firm IRA checkbook control by familiarizing yourself with the rules and regulations of this retirement investing option. By doing so, it would not be necessary for you to consult your custodian to get consent of the investment and write a check. Owning an IRA-LLC permits you to procure any investment a regular LLC can house its funds into provided that you steer clear of collectibles and insurance contracts. In addition, you may not work with “self-dealing” exclusive of DOL. In actual fact, these investments are not new on the market since they have been used and permitted for more than 30 years. You may be wondering why you haven’t heard of this option before. The reason why your stock broker hasn’t discussed this option to you is because he only wants you to invest in the options that his firm provides. At your local bank, you are restricted to CDs and interest bearing checking accounts, while when you are dealing with brokerage firms you are limited to mutual funds, bonds, and stocks. As a result, you fail to recognize the other options available to IRA account owners. The sad truth is that the traditional investment community has had supremacy and control of over 97% of retirement plans, which give them affluent way of living. Thus, they hide the good alternatives, where they don’t receive as much benefits they get from the traditional investment options. The government stipulates specific guidelines on how financial institutions should manage the accounting and reporting of IRAs. All custodians are required to comply with these rules and regulations. Under the law, all financial firms and custodians may permit you to invest your contributed IRA funds in similar kinds of investments. However, the limitation on the type of investments available is set by the custodians, with their best interest in mind. The best IRA companies are those that allow non-traditional investments to be housed in your retirement investing portfolio to ensure your comfortable retirement. Owning a self-directed Individual Retirement Account is one step closer to attaining full control on your account and receiving the best IRA rates. When you set up an account with self-directed custodian, you are bound to get authorization from your custodian before acquiring every investment. However, this process consumes more time and is more costly than it should be. 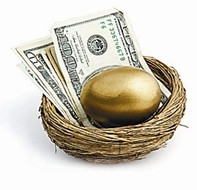 To take advantage of a truly self-directed retirement plan, you must get an IRA checkbook. So what are you waiting for? 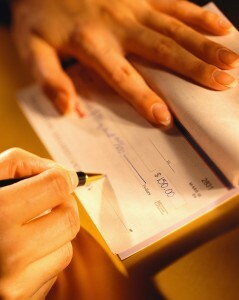 Talk with your custodian now and find out what checkbook IRA is in store for you.